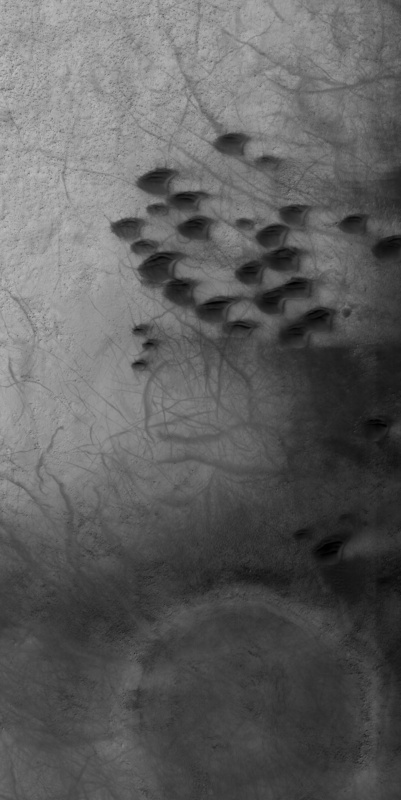 This image shows a set of dark sand dunes within the northern part of an unnamed crater in the Terra Cimmeria region. The dunes have a distinctive shape, with two horns on one end and a rounded edge on the other. The side of the dunes with the horns has a steeper slope and the rounded side a more shallow slope. 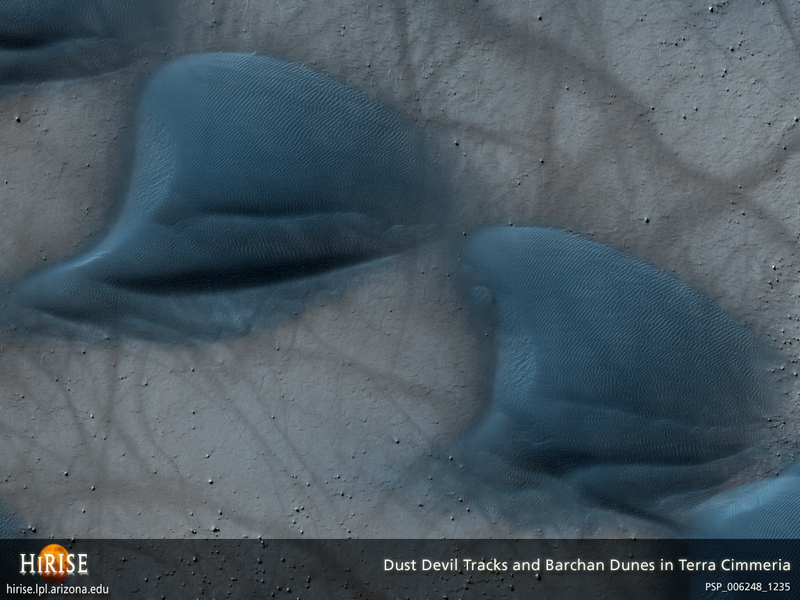 These types of dunes are called “barchans” and, by analogy with similar dunes on Earth, form in areas with limited sand supply. 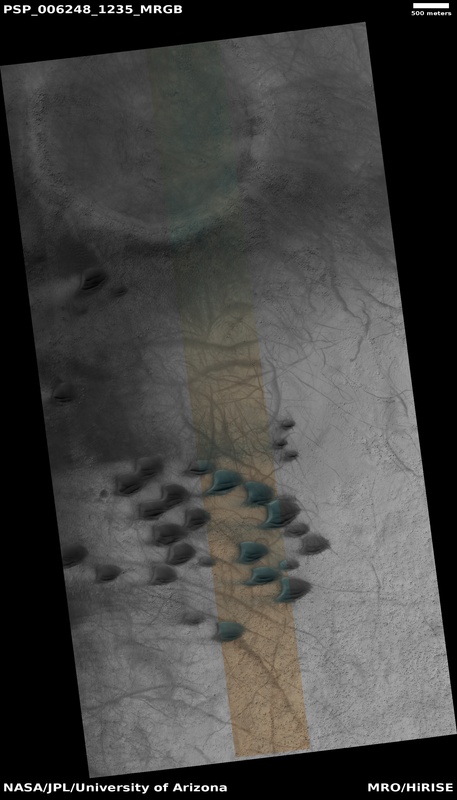 The horns of the barchans point in the downwind direction, thereby indicating that the predominant surface winds in this region blew from the east (right side of image). Further evidence of this wind regime is apparent when one zooms into the image. 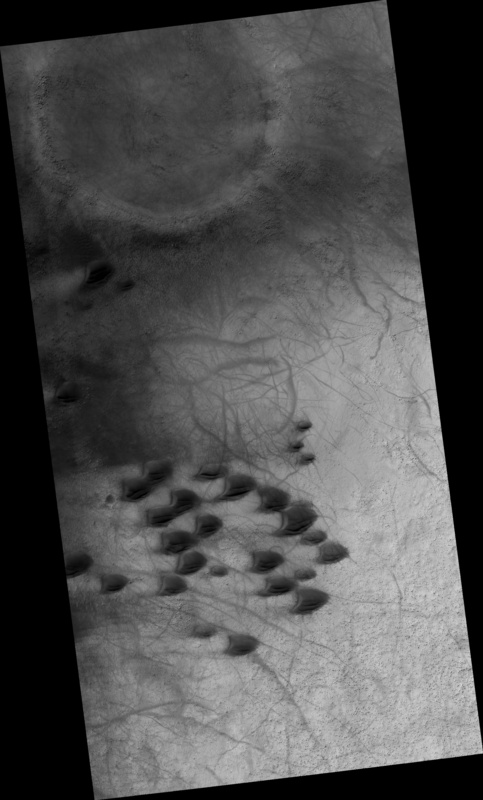 “Wind tails” are visible on the western (left) side of many rocks (many of these rocks may be ejecta from the degraded crater in the northern part of the image). Wind tails are formed by the accumulation of dust and sand in the lee of rocks, which act as wind shadows. Very small light ripples at a scale of a few meters (yards) are also apparent.